Got the sniffles? Get some orange juice! A lot of us think this way, but does it really work? Well, let’s take a gander at a new review study on vitamin C and the common cold. Turns out, this famous nutrient does indeed fight these pesky sicknesses. The review found that vitamin C is particularly beneficial for people under intense physical stress. In five such studies of people with severe short-term physical stress, vitamin C cut the incidence of colds in half. These were done among marathon runners, young skiers, and soldiers during a winter exercise. Recently, a study on competitive swimmers found that vitamin C halved the duration of colds in males. PLUS: What has 20 times the power of vitamin C? Overall, regular doses of vitamin C—one gram a day or more—have reduced the average length of colds in adults by eight percent and in children by 18%. Vitamin C seems to have biological effects on the common cold (though we still need to search for how this occurs); the researchers, however, are on the fence as to whether it is prudent to take vitamin C every day to shorten colds if you don’t get them very often. On average, adults have only a few episodes a year. For those who get sick more frequently or who engaged in rigorous activity like athletes, vitamin C may be a more appropriate cold-fighting solution. So far, we have only a few studies that tested vitamin C taken after a person spots the symptoms of a cold coming on. Their results are not consistent. 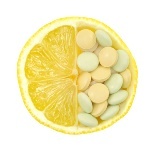 Nevertheless, given the consistent effect of vitamin C on the duration and severity of colds in the regular supplementation studies, and the safety and low cost of vitamin C, the researchers think it is worthwhile for each of us to test the waters and see if vitamin C is beneficial at blocking a cold before it takes firm root. Hemila, H., et al., “Vitamin C for preventing and treating the common cold,” Cochrane Acute Respiratory Infections Group; published online January 31, 2013.